The OFM Essentials Collection Magnetic Whiteboard with Aluminum Frame and Tray features a sizeable 47" x 31" surface for note writing or magnetic bulletin board space. This white board is perfect for notes, messages, pictures, or for use in an interactive classroom. Mount this dry erase board either vertically or horizontally with easy mount screw holes in each corner. Giving a seamless look, the corner covers hide the installation screws. 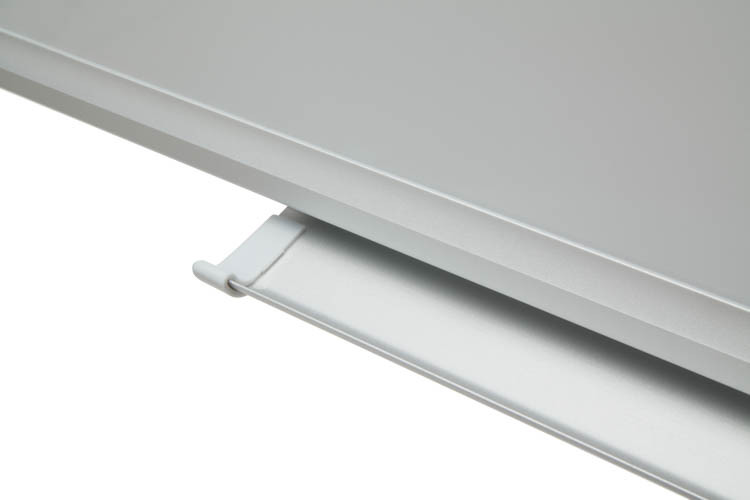 The magnetic whiteboard includes a marker tray that attaches to any side of the frame and the clean-wipe, scratch-resistant surface leaves minimal marker ghosting. 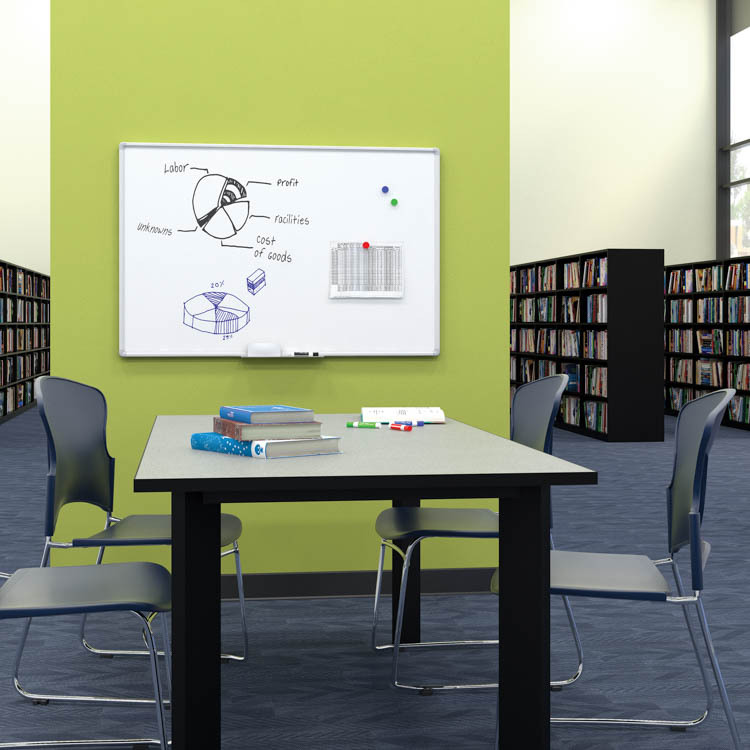 The wipe board's durable steel structure allows for long-term use, prevents warping issues. Eraser and Markers are NOT included. Overall Dimensions: 0.5" D x 47" W x 31" H.